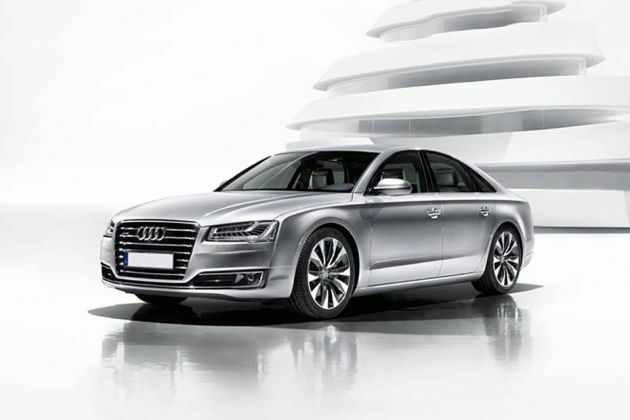 Audi India has added another gem to its Indian portfolio, called Audi A8 L 4.2 TDi Quattro . This is a new luxury sedan from Audi, who is known for offering high class and posh cars. Audi A8 L 4.2 TDi has been customized according to the Indian driving circumstances and the needs and requirements of the Indian consumers. The car is blessed with a very refined and powerful engine- 4.2L of V8 turbo diesel engine that would give out good amount of power and torque along with a decent mileage and acceleration. The exteriors of the new Audi A8 L 4.2 TDi are superior and lavish in every way. The spacious and roomy interiors comprise of ergonomic seats and spot-on ambiance makes sure that you have a relaxing and plush ride in the sedan. The car could be called as a modern classic that is a perfect combination of coolness with luxury and power. The remarkable engineering with superb built quality takes this luxury sedan to a much high level and is successful in justifying the Audi tag attached with it. Audi A8 L 4.2 TDi has some amazing exteriors that keep the ability to impress in a very first look. From the front, you would notice the muscular and sportive bonnet accompanied by superior radiator grille and large headlights. The signature four circles of Audi are well-placed in the front and rear end of the car that gives it a style and statement of luxury. The body colored bumper, door handles and ORVMs add-on to the unity of the car look and the aluminum trim strips that frame the window are an attractive part of the sedan. The car comes with twin exhaust pipe as well that provides the car with an extra hint of luxury on the outside. The rear profile of the new Audi A8 L 4.2 TDi features automatic boot opening lid with a very stylized look. The rear windscreen washer has been provided with washer jets. The tail light cluster has a very robust look and is eminently shaped. The interiors of the new Audi A8 L 4.2 TDi are very interesting that assures luxury and comfort. The sophisticated detailing done here further takes the car interiors up a notch. The sedan comes with LED ambient lighting package, which comprise of two color light strip, roof module, LED footwell lights, LED entry lights and many more. The four-spoke leather wrapped multi-functional steering wheel is perfect and is accompanied with gear-shift paddles . The car interiors will also be seen with the keyless entry, auto-dimming rear view mirror, and upper inlays done in walnut brown color, while the lower inlays have a polished black look. The leather upholstery for the seat is just top-class that keeps the ambiance and the luxury element of Audi A8 L 4.2 TDi integral. The comfort features of the new Audi A8 L 4.2 TDI are brilliant. The luxury and comfort level in the sedan have been kept to the Audi level. The car is well-equipped with almost very comfort feature that is expected to be present in an Audi Sedan. The sedan sports front sun visors with vanity mirrors, armrest for the front passengers, climate control with the sun sensor, temperature controls, separate air distribution, rear ventilation for the foot well, air quality sensor, air humidity sensor, automatic defrost function, cooled glove compartment, moisture detectors and many more. The advanced audio system makes sure that your journey in Audi A8L 4.2 TDi becomes totally entertaining and delightful. There is ample of legroom and headroom for all the passengers specially the rear passengers who will not face any kind of trouble during long trips in Audi A8L 4.2 TDi. As expected, the engine of Audi A8L 4.2 TDi is top class and takes performance of the car to a next level with its engine. The new Audi A8L 4.2 TDi comes with 4.2 Litre of V8 turbocharged diesel motor that is capable of generating 350bhp of peak power at the rate of 4000rpm along with bombastic torque of 800Nm at the rate of 1,750-2,750rpm. What takes the engine higher is the ZF 8-speed automatic tiptronic gearbox that assists the car in delivering a decent mileage figure. With a top speed of 250kmph, the sedan keeps the ability to go from 0 to 100kmph in just 5.5 seconds . Overall, with all the luxury and comfort attached with Audi A8L 4.2 TDi, this sedan doesn’t let down when it comes to performance on road. Audi A8L 4.2 TDi also manages to stand out when it comes to driving dynamics and handling of the car. This luxury sedan is well equipped with numerous features that help the car in being the perfect one. The sedan has integral thermal imaging camera, night vision assistance, which actually amplifies the comfort as well as the safety of the car and passengers. The four spoke multi-functional steering wheel gives on easy handling, while the superb braking and suspension system makes sure that the car runs smoothly on any given topography. The safety department of the new Audi A8L 4.2 TDi is amazing in its own ways. the car is accompanied by double glazing warning triangle, servotronic-eletromechnical speed-sensitive power assisted steering wheel , electrically adjustable steering column, ISOFIX child seat mounting, electrically adjustable ORVMs, airbags, front passenger airbag deactivation facility, Thatcham category 1 Alarm, immobilizer, first aid kit, cruise control, automatic headlight range adjustment, LED rear lights, electromechanical parking brake, electronic differential lock traction control, side guard head airbag system, headlight washers and the list goes on and on. The body frame of the car is strong and makes sure that during a collision or an accident the car and passengers are safe and secure. All these things help making the new Audi A8L 4.2 TDi perfect in safety department as well.